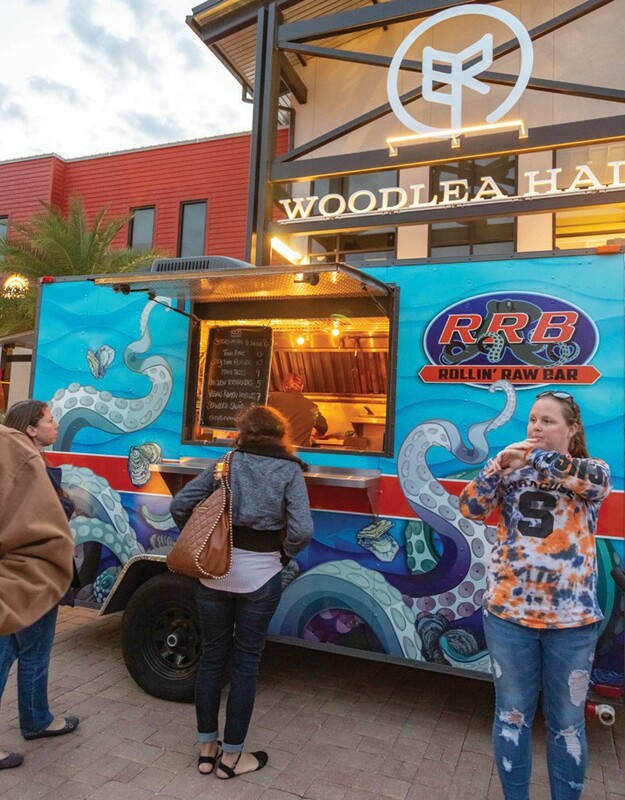 Sizzling batter, smoking brisket: A Friday night block party’s incense emanated from mobile vendors, lacing the brisk air in downtown Founder’s Square and drawing a crowd that came bundled up to meet temperatures that dipped in to the low 50s. 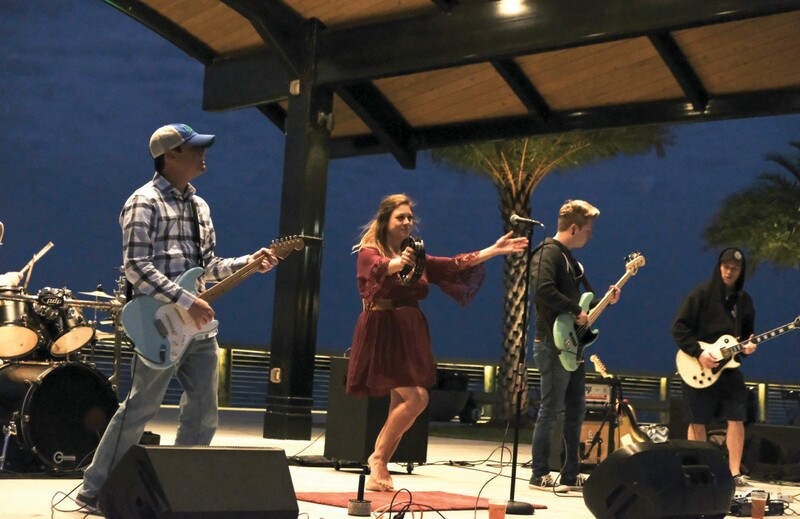 Mad Soul’s shimmering rhythm guitars fired up from the bandshell and the lawn filled with children and families. “Cold” weather or not, Kona Ice of Cape Coral was expecting to get busy later because it’s a perennial favorite among the elementary school set. “Our business won’t pick up until after they’ve had their dinner,” said Bruce Murray, co-owner of Kona Ice with his niece, Denise Bateman. 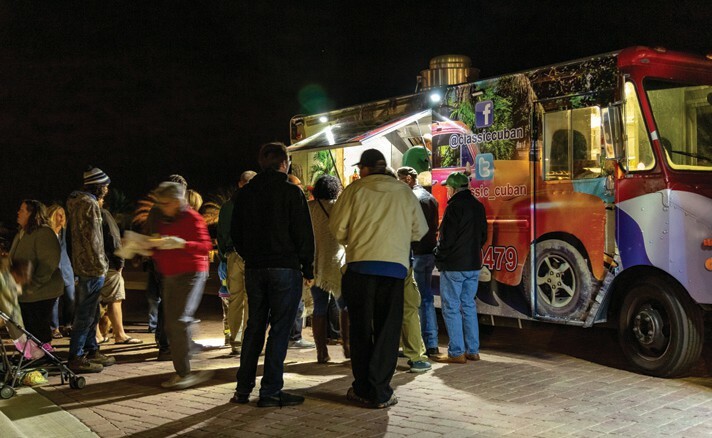 It was 6 p.m. and Babcock Ranch’s monthly Food Truck Friday had just begun — both for the night of Jan. 25, as the sky dimmed over Lake Babcock, and for the first time ever. 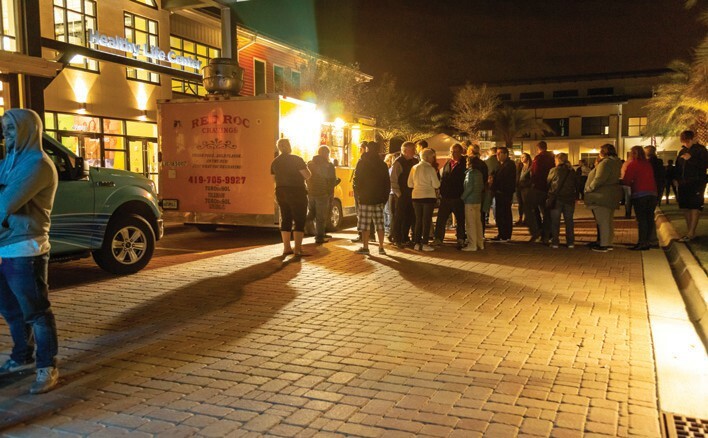 Further Food Truck Fridays are on tap for 6-9 p.m. Feb. 22, March 29 and April 26. 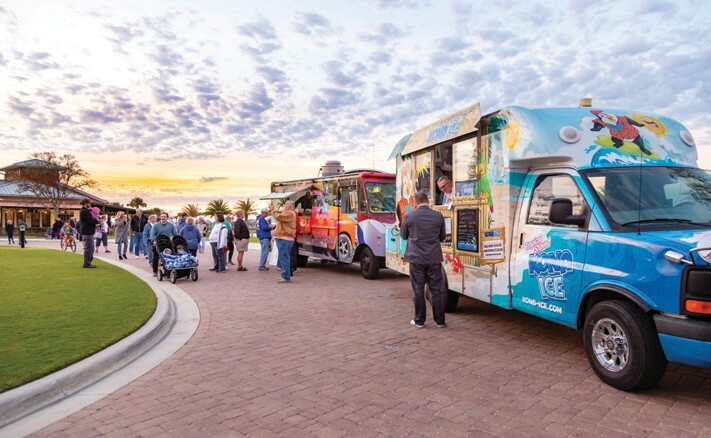 For the inaugural event, nine trucks circled the square, the same ones planning to arrive on Feb. 22: In addition to Kona Ice, there were Buddha Blends, Classic Cuban, Ma Petite Crêperie, Red Roc Cravings, Rollin’ Raw Bar, Squeezers Lemonade, Sweet Cheesus and Zoet Sweet Boutique. There was also a table serving craft beer and food from Babcock’s own Table & Tap restaurant. 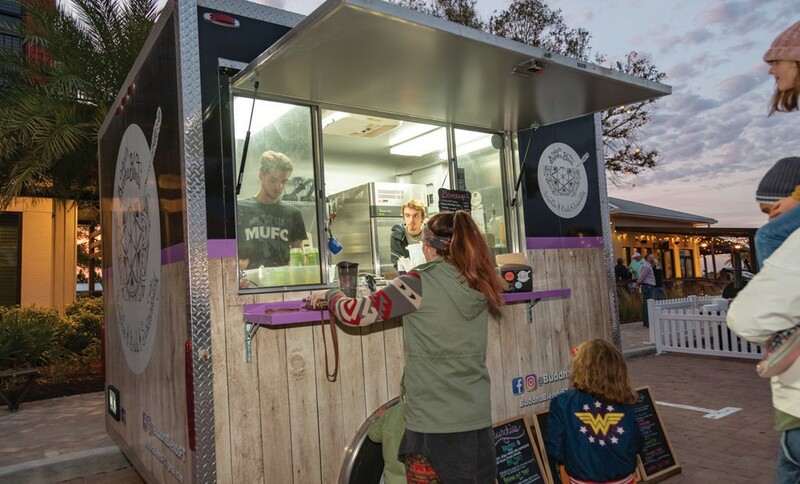 The Buddha Blends truck offered vegan options, from the popular Purple Haze bowl with coconut milk, peanut butter and fresh berries to nachos featuring a cashew queso. Perhaps less healthful but no less appealing was the Sweet Cheesus food truck’s Cheese Brick on a Stick, a block of Gouda fried in tempura batter. Hallelujah! Across the lawn, Ma Petite Crêperie offered its own entertainment to people in line or waiting for their orders. A large window on the side of the trailer framed Chef/owner Myriam Schlewer turning out crepe after crepe. She makes them per regional tradition in northwest France, with buckwheat batter that lends them an earthy, nutty flavor. 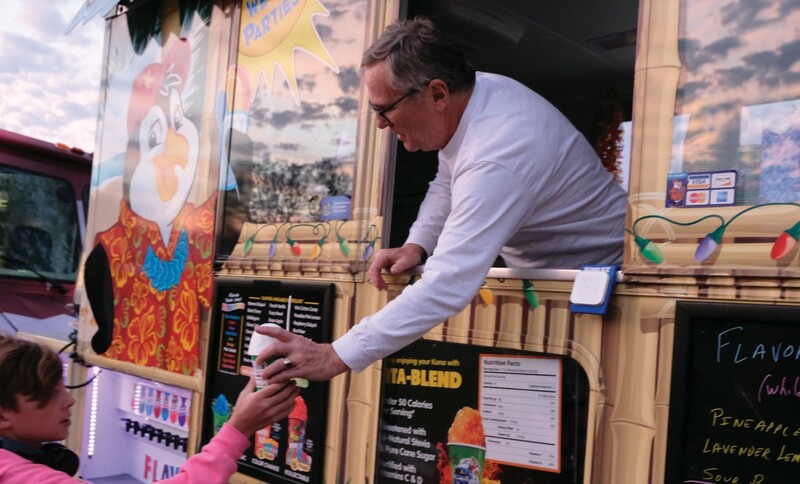 Bruce Murray, co-owner of Kona Ice, serves a customer. Babcock organizers expected at least a few thousand people at the event. 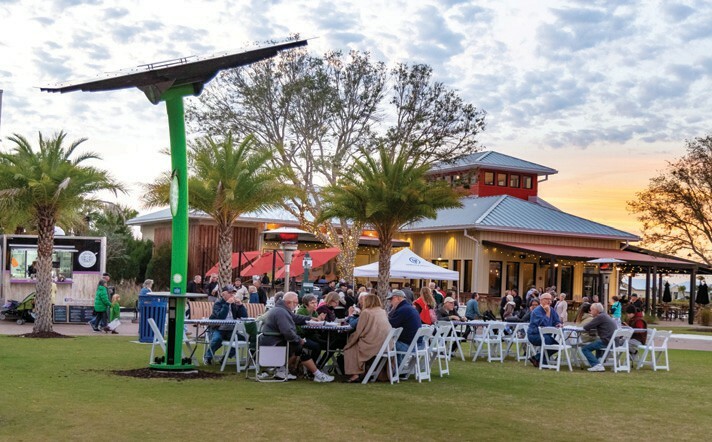 As the night set in, the crowd formed long lines and people dined on blankets on the grass or at at picnic tables. North Fort Myers residents Paul Smith and Valerie LaPlante came earlier that day to check out some of the houses for sale at Babcock. “It doesn’t look like we’re in Florida,” Ms. LaPlante said, looking at all the sweaters, coats and stocking hats. She was zipped up in a hoodie that read across the front GRUMPY, which belied her friendliness. Babcock Ranch residents William and Kimberlee Barton strolled with their dogs, Gru and Buddy, taking in the scene. “It’s a great thing to have in our backyard,” Ms. Barton said. The Buddha Blends truck offers vegan options. Ky and Jo Scott came from North Fort Myers for dinner. 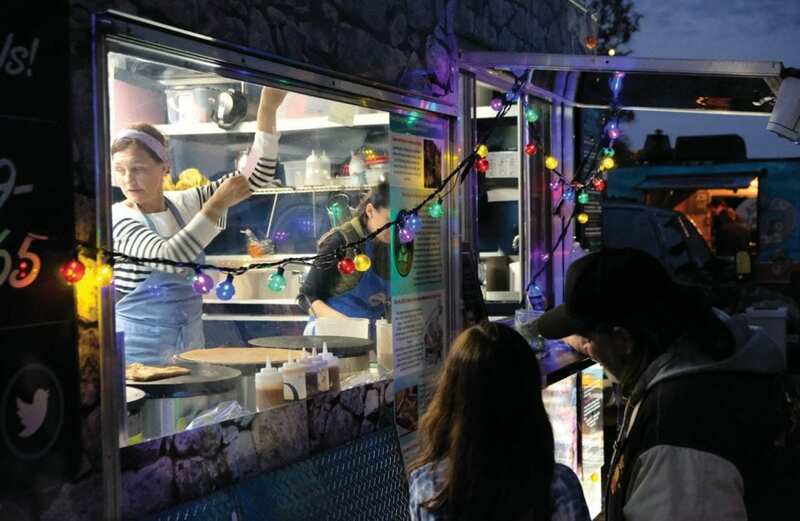 Living here for the winter, the women run their own food truck in New Castle, Ind., called Ky’s Kreations, which serves breaded tenderloins, taco salads and other robust meals. Food Truck Fridays are here at 42850 Crescent Loop, 33982. Those who plan to go are encouraged to RSVP, which will enter them in to a raffle to win a $100 gift card from one of the shops at Founder’s Square (you have to be at the event). 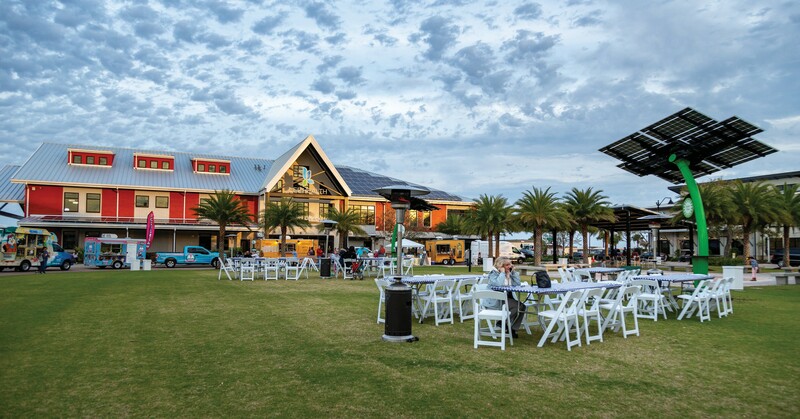 To RSVP visit: www.babcockranch.com/event/food-truck-fridays/ 2019-02-22/. Ma Petite Crêperie chef and owner Myriam Schlewer making crepes.